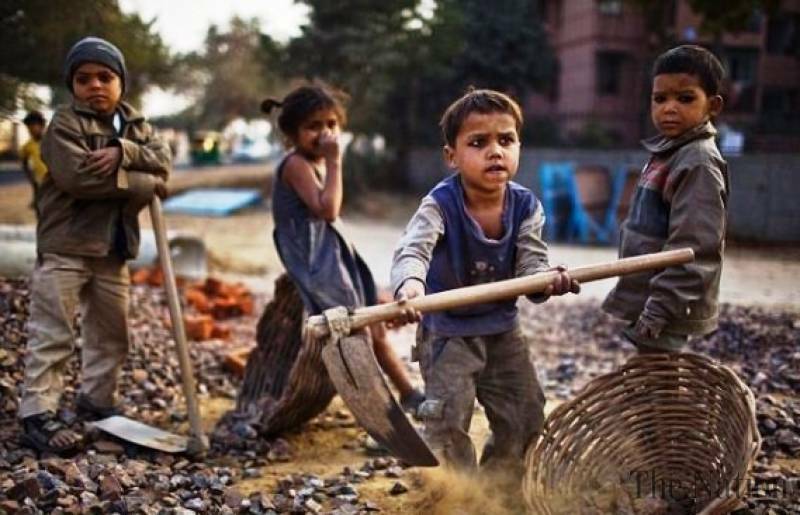 PESHAWAR: Although Khyber Pakhtunkhwa’s (KP) government has taken credit for introducing the first ever Child Labour Policy in the country, child rights activists believe that the policy is only a blossom on paper and nothing is visible on practical grounds. “The recent government report confirms that 1.8 million children are out of schools and they are either engaged in child labour or on the streets,” Imran Takkar remarked, adding that in fact, the legislation regarding child rights protection was made in the KP assembly in 2015 but the government had failed to implement it. Takkar termed the Child Labour Policy a positive step in the right direction but insisted on the importance of its implementation. He said that until the policy is implemented, the government could neither ensure an end to the violation of child rights nor could it improve the literacy rate and education standard. According to official documents prepared by the Ministry of Labour, a Central Referral Mechanism will be established and tasked with raiding hotspots and institutions where children are engaged in labour. This department would comprise of experts and officials well aware of the law pertaining to human and child rights protection, labour, industries, and workshops etc. Besides the Central Referral Mechanism, a policy regarding the establishment of a monitoring and reporting system which aims at discouraging bonded labour, as well as, violation of child rights at the community level has also been proposed. In this system, parents will be compelled to ensure educating their children from five to 16 years of age. In case of a parent’s death, the ministry of labour will ensure the provision of education and basic skills learning facilities to the concerned children. With the help of the community and this system, the Ministry of Labour will take stern action against employers who are violating child rights by tasking them with hard work, making them work for long hours, paying fewer wages and denying them basic health facilities. Moreover, the Ministry of Labour with the support of the community, government departments, non-government organisation and others will collect the data of all children who are engaged in labour or out of school. In this connection, all non-government organisations, industries and entrepreneurs will be mobilised to help ensure the enrollment of out of school children and addressing their economic needs.